Day 1. 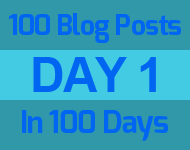 What effect will producing a large quantity of blog posts have on my Google ranking? 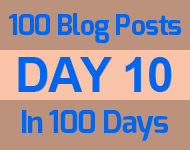 Taking the 100 blog posts in 100 days challenge should give us some idea how Google's algorithms work. I do keep a blog but it has become very sporadic, maybe because I'm to fussy about quality, what if I go for quantity?